As AFC Wimbledon, we were lucky during our first few years – in fact we went the first seven years of our resurrection winning every single opening game – until we played Luton in the Conference. Two dubious penalties, Haydon getting his head ripped off … and things on the opening day were never quite that exciting again. Our first loss on the opening game of the season came on the day that should have been a fairy tale – our first back in the Football League, against Bristol Rovers at home. We were all on a high from Manchester and we had commemorative tops to match. As we pulled it back to 2-2 it looked as though the dream could be on – and that would have been a memorable game – but instead, Brett Johnson cracked under pressure, flinging his hand at the ball and the day is remembered for the wrong reasons. Ever since then, the first game of the season has been a tad underwhelming. A narrow win at Chesterfield, followed by a 1-1 draw at Torquay, another draw at home to Shrewsbury, and then in our last year in League Two, we were ironically beaten 2-0 by Plymouth at Kingsmeadow. None of these games really trigger great memories – bar the drunken havoc caused on a few of the away trips. Then it comes to last season, in League One, with the big boys – Bolton, Sheffield United. But we were battered 3-1 by Walsall – and that flattered us! We looked as though the start of season had come too soon. Apparently, according to my Dad, it’s quite in keeping with old school Wimbledon tradition to be shocking on the first game of the season, as we were when first elected to the league – but that whole Batsford Boys era is too far back in history for me. 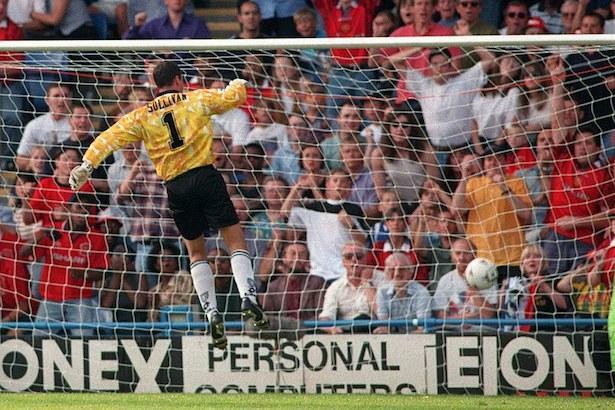 In the Premier League we had a few more memorable games – but we were beaten by Arsenal in 1990, Leeds in 1992, Manchester United in 1996 – and the list most certainly goes on. Scunthorpe away. Not exactly the big game everyone wanted to start the season on. Here’s hoping it’s a little bit more exciting and memorable than recent years. And that we’re not all doom and gloom come 17:00. Everyone starts the season in one of two camps – optimism or pessimism. All the build-up, all the rumours, all the guessing on a starting XI before Neal has even decided himself. You’ll either be confident we’re running home with three-points or convinced we’re in for a relegation battle after the first 90 minutes. I think the players we lost were to be expected – Elliot was honest with us about the Championship move, Reeves was rumoured every pre-season and admitted himself he had interest from Bradford last summer, and Poleon – well he knew how to sulk when he wasn’t in the starting line-up. Like everyone, I was surprised by Shea being let go, but George Long is impressing so far. Time will tell with our signings but I’m sure we’ll get another Whelpdale-like player this season, just after we’ve finally got rid of him. So, will it be same old Wombles come Saturday – or will we turn up with a bit of spark for the opening game for the first time in quite a while? Great piece, as I’d expect from Alice. One point I’d take up though is that the narrow win vs Chesterfield was at home, the goal coming from Jack Midson after a great 40-yard pass from Angus McDonald. Chesterfield were a fancied side and though we were under the cosh for some time during that game, we battled well for the victory and the general feeling in the bar afterwards was hopeful. But then came Burton and Bradford! Enough said.